1.For those readers who might not know your work, can you tell them a bit about the books you write? -I imagine that most people haven’t heard of me . 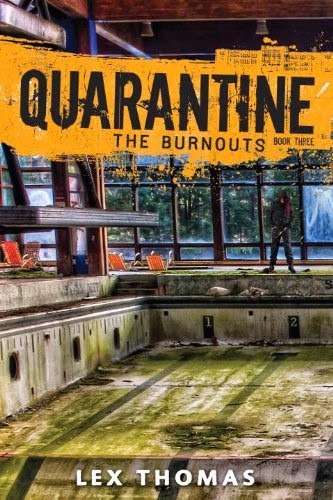 I write upper YA or New Adult books that are set in the real world—with a twist. Paranormal romances, mostly, with creatures I made up: the Sary mostly, who are kind of like guarding angels, though a little more earthly! 2.How did you come up with the names for your characters? -My character’s names are generally kind of random. A lot of them just have names already when I start to write about them (which is always a bonus—much easier that way!). The rest of the time, I’ll often scan my bookshelves, thinking about characters, people, authors, until something pops up and sticks. For example, Edison in my first book got his name from the book on Thomas Edison I had next to me, lol! 3.What type of research goes into creating a series like The Chemistry Of Fate? -Luckily Chemistry didn’t require quite as much research. My first novel, Colors Like Memories, had parts set during the Civil War and that took a whole lot of extra reading! Chemistry mostly entailed wandering around the campus where I work, getting a feel for the cold weather, and getting in touch with my inner guy (which was, well, kind of interesting, and thankfully really helped by my husband!). 4.What is the appeal writing about Immortal Angels versus say Immortal Vampires? -Less blood?  That’s a really good question! For me, the angels bit was almost secondary. The ability to fly and have wings came first, and it kind of grew from there. So, I guess most vampires can’t fly, even if they are immortal (well, in most stories). That and I love history so I find immortal beings interesting to start with! 5.What has been the toughest criticism you've received as an Author? What has been the best compliment? -Honestly, some of the toughest criticism has come in the form of not bothering to pick up my books. A certain person who shall not be named, but is very close to me, has never bothered. That hurts. I’ve had my share of scathing comments and rude remarks, but I can handle that a lot better than just having someone not care when they know how important it is to me. The best compliment? Being told someone was invested enough in my characters that they cried or laughed. I want nothing more than someone to be sucked into my stories enough for that to happen! 6.Can you give us a small (2 or 3 lines) excerpt from The Chemistry of Fate? He turned back to his book, and I went back to covertly spying on him. I wasn’t supposed to enjoy watching him study. It was against the rules. But I couldn’t help it. He got this cute little wrinkle between his brows. It was adorable. I turned back to my textbook and attempted to focus on the words. It was like reading Greek. I spoke Greek, too—fluently. But the principle still applied. I couldn’t focus. For Tom, it would have taken a nuclear blast to get him away from his book. Every time I sneaked a glance in his direction, he was busy reading. Maddening didn’t even begin to cover it. Not that I really wanted him looking at me in any particular way. That was asking for trouble. Opening up a little so we could be friends though? That would have been perfect. How else was I ever going to find out what he knew about the Sary? 7.This is a companion book to Colors Like Memories. Does one need to read that book to understand this one? -They are both stand-alone books that are more companion books than anything else. Same world, different characters. Actually Chemistry is set before Colors time-frame wise. 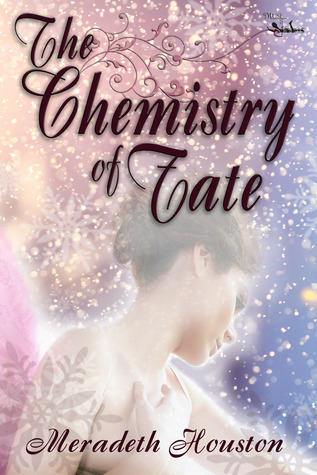 8.The cover for The Chemistry Of Fate is quite striking. Who designed it? -The awesome Charlie Volnek. I’m in awe of what she created! 9.Just for fun Look to your left, What is the first thing you see? -My fugly orange and white striped couch (it’s amazingly comfy, but, wow, ugly as sin!). And my graduation tassels hanging from my lamp, because I had no idea what to do with them! 10.One last question, Can you tell us about any upcoming projects? -Absolutely! I have the third book in the Sary series in the works, and am also trying to peddle another book about an alien invasion . I never thought I’d go the sci-fi route, but never say never I guess! *She’s a Northern California girl, but now lives and teaches anthropology in Montana. *When she’s not writing, she’s sequencing dead people’s DNA. For fun! *She’s been writing since she was 11 years old. It's her hobby, her passion, and she’s so happy to get to share her work! *If she could have a super-power, it would totally be flying. Which is a little strange, because she’s terrified of heights. Win a leather journal and $10 Amazon Giftcard!